Come see the Friends tree at the Historical Society’s Festival of Trees December 3-18. Thursday, November 3 at 6 pm, John Simon shared his experiences working with legendary rock group, The Band. Pulitzer Prize winning author Tracy Kidder will spoke on Thursday, November 17 at 7 pm at the Schenectady High School on McClellan Street. On August 28 the fabulous Zucchini Brothers entertained children and adults alike. Ice cream treats were provided after the show, courtesy of Stewart’s Shops. Click here for photos of the event. The Friends Annual Dinner was a gala occasion at the River Stone Manor on Saturday, April 16. Photos from the evening can be found here. A slideshow of the Whitney volunteers honored for their many years of service can be seen here. 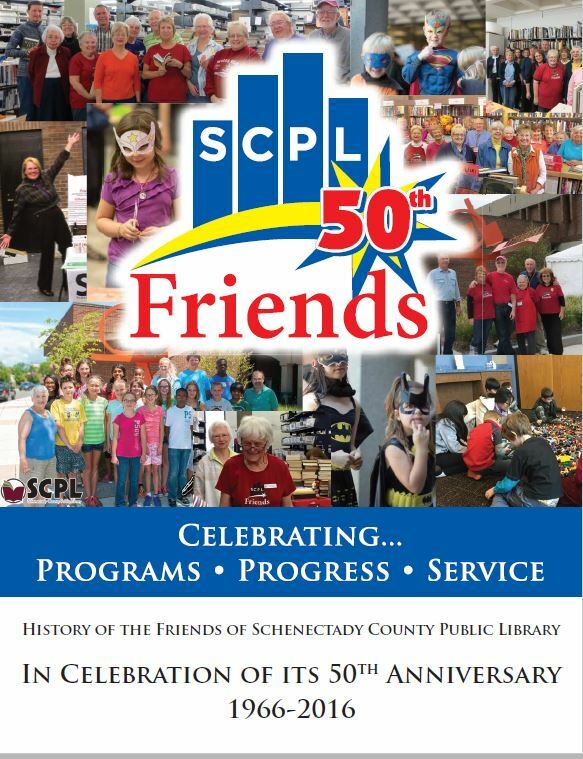 The kick off for our anniversary year was held on Sunday, January 10 at the Central Library. Remarks were made by John Karl, Friends President, Library Director Karen Bradley, Beat the Snow chairperson Jan Walz and Junior Friend Shaheen Hasan. Click here for photos. In January, Rita Moore, John Karl and Janice Walz appeared on the Ann Parillo show.